The district is currently struggling to close a $13 million budget hole almost halfway into the school year. Decisions made by Governor Chris Christie and his administration are directly responsible for the district’s extreme and chronic fiscal distress, with no end in sight next year or beyond. Most importantly, the ongoing budget crisis has eroded essential resources in district schools, depriving students of the opportunity for a thorough and efficient education. 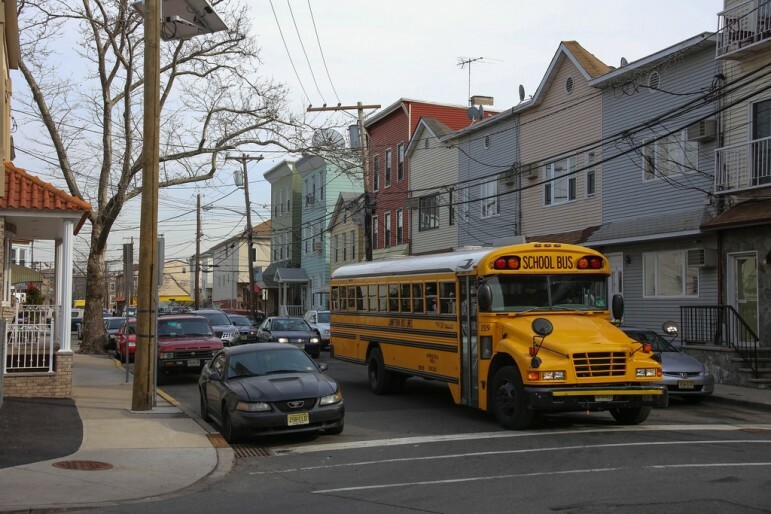 Newark last received the increases required by New Jersey’s school funding formula—the School Funding Reform Act (SFRA)—in 2011–12, when the State Supreme Court ordered Governor Chris Christie to restore the $42 million cut from Newark’s budget in 2010. Since then, the Governor has refused to fund the formula, resulting in an over $132 million shortfall in state aid to NPS in 2015‐16. At the same time, the Governor’s Department of Education (DOE) has approved and allowed charter schools to rapidly expand in Newark, draining an increasing amount of funds from NPS’s already flat budget. Total spending dropped by 20 percent between 2008–09 and 2014–15, a $2,971 per pupil reduction. Spending on regular instruction—teachers, curriculum, books, etc.—was cut 35 percent, or $1,610 per pupil. Support services were significantly reduced (–20 percent), with especially large cuts in media services/library, attendance and social work, and guidance. Spending for students with disabilities and those learning English was dramatically reduced. Staff was cut in nearly all areas, with school psychologists, librarians, and instructional support staff experiencing significant reductions. The impact of the state’s under funding of Newark’s school children has been made worse by the state’s aggressive commitment to expand the number of students served by charter schools. NPS payments to charter schools have increased rapidly as the DOE has allowed charter enrollment to expand each year. In 2008‐09, NPS payments to charter schools totaled $60 million. By 2015–16, NPS charter school payments increased to $225 million, representing 27 percent of the NPS operating budget. In addition to the increase in payments triggered by charter enrollment expansion, two additional policy decisions at the state level have disassociated charter payments from the actual level of resources available in the district. First, from 2012–13 through 2014–15, the DOE determined the base per pupil amount for all districts using lower weights for at‐risk and LEP students that did not conform to the SFRA. Additionally, the Department artificially reduced enrollments by using average daily attendance rather than the October 15 count to determine student numbers. Newark has been a focal point for educational reform and the center for an often-raucous debate over how best to improve urban education. Twenty years ago, concerns about poor educational outcomes and corruption led New Jersey to take direct control of Newark’s schools from the elected school board. Reform efforts focused on limiting the power of the teachers’ union, implementing a market-driven approach so that parents could choose the “right school” and increasing the number of charter schools available in the Newark school market. And Newark was the beneficiary of Mark Zuckerberg’s $100 million challenge grant designed to fuel many of these changes. In a district challenged to bring educational performance to acceptable levels, state management has not proven to be the magic bullet it was thought to be, as school performance has continued to be an issue. The state’s desire to increase the number options in the educational marketplace by growing the number of charter school seats available has not been matched by an effective way to ensure that this growth did not harm those students remaining in traditional public schools by unfairly shifting resources away from the public district. And even the huge resources that the Zuckerberg effort brought to bear on Newark’s challenge did not address the growing funding problem faced documented by the ELS study.